Shopping for the best savings accounts? Well, finding the best savings account in the nation takes more than just looking at the yields. It takes particular research and scouting to weigh whether the interest rates will be enough to cover the potential fees most banks charge. Usually, online banks can give better rates with lower fees because they have little transaction costs as compared to brick and mortar banks. Although savings rates have been at historic lows at the start of the year, things seem to be looking up with improved rates. 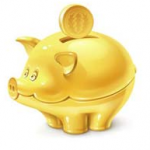 Below is a list of the top 10 savings account for this year. 1. Ultima Bank – Rate of 2.00%, APY of 2.02%. Minimum deposit is at $0. Their SMART Savings account is good for young people aged 18 or younger. However, early withdrawals (before their 18th birthday) may lead to penalties. 2. Dollar Bank Federal Savings Bank – APY or 2.00%. Minimum deposit of $0. Rate apply for balances below $20,000. This account is called the FreeMONEY Savings. A FreeMONEY Checking account must be maintained to earn the rate. Available in Ohio and Pennsylvania areas. 3. Washington Savings Bank – 1.50% Rate, with 1.51% APY. Minimum deposit of $0. Account is called Saver Rewards where tiered rates apply. The APY is only valid for balances between $0-$15,000. This is only for online accounts and it requires a checing account with at least 5 direct deposits or 5 debit card transactions per month. 4. Palladian Private Savings Bank – 1.49% rate with 1.50% APY. Minimum deposit of $10,000. Rates are available only for current customers. 5. Gogebic Range Bank – 1.34% Rate with 1.35% APY. Minimum deposit of $100,000. Account must be opened in person. Available only in Michigan market area. 6. AMTrust Direct – 1.24% rate with 1.25% APY> Minimum deposit of $10,000. Rate applies for premium e-Money market account on earned balances of up to $24,999.99 new money only. 7. Mountain View Bank of Commerce – 1.21% rate with 1.22% APY. Minimum Deposit of $1,000. Savings account for minors available only in Colorado market area. 8. Discover Bank – 1.14% rate with 1.15% APY. Minimum deposit of $0. Account may be held in individual or joint ownership with up to 6 preauthorized transfers from the online savings account per statement cycle. 9. Capital One Bank – 1.09% rate with 1.10% APY. Minimum deposit is $1,000. Product is called InterestPlus Online Savings with a 10% bonus on interest earned with a $10,000 monthly balance. 10% interest may also be earned with the use of Capital One credit card at least once a month. 10. Colorado Federal Savings Bank – 1.09% rate with 1.10% APY. Minimum balance is $2,500. This is an online savings account with up to six withdrawal transactions per month without a service fee.